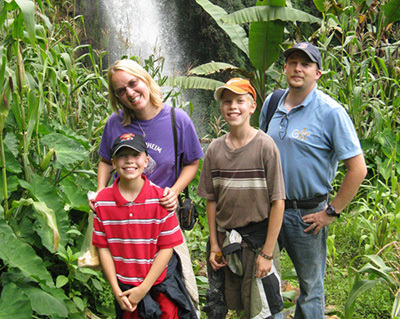 The Johnson family served in the Diocese of Kumbo, Cameroon. 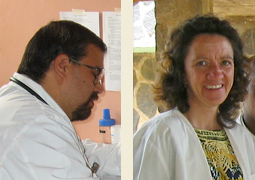 During the first half of their assignment, Chris’s job was to travel to the different diocesan health centers to assist the staff and to structure a set of protocol for the clinics. In the second half of his service, he worked at the new Cardiac Center of Shisong Hospital. Alicia taught English at St. Augustine Secondary School. 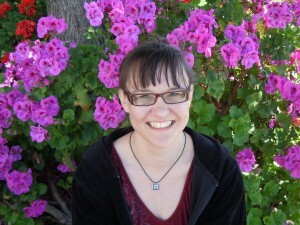 In addition to teaching, she helped form a student newspaper and ran a mobile library during the summer months. Their sons, Keaton and Quinn attended the school as well. Born and raised in Santa Barbara, CA, Debbie is the 6th of 13 children. She is a member of Assumption of the Blessed Virgin Mary Church in Pasadena, CA. She majored in Electronic Media at Drake University. Debbie will teach English and Computer Knowledge to her students. 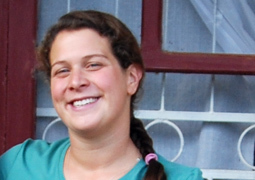 Diana served as a nurse tutor at Karoli Lwanga Hospital’s school of nursing in Nyakibale, Diocese of Kabale, Uganda. 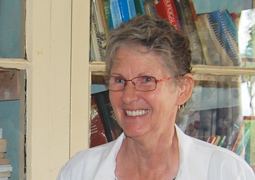 In addition to being a nurse tutor, Diana was instrumental in creating a curriculum and teaching computers to the nursing students to enable them to do research. 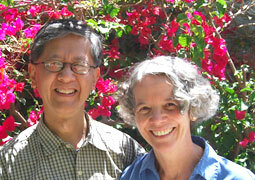 Earl & Diane (married couple) are from San Francisco, CA and are members of Notre Dame Des Victoires Church. Earl has a Bachelors degree in Mathematics from University of California, Santa Cruz and a Masters in Computer Science from San Francisco State University. He is teaching Maths and Computers at Aquinas Secondary School. Diane has a Bachelor degree in English from Acadia University and a Masters in Pastoral Studies from Seattle University. Diane teachers Literature and is the school librarian and assistant academic. 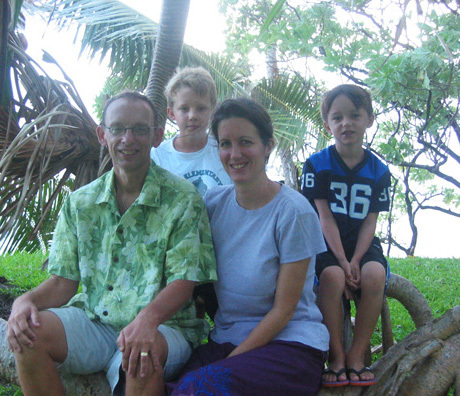 Ed and Cathy Medina and their children Terisa, Megan and Billy served in Shisong, Diocese of Kumbo, Cameroon. Ed, a physicians assistant, served in the outpatient clinic of the hospital. Cathy, a registered nurse, served as a nurse tutor (teacher) and the hospital’s nursing school. Their children attended the local Catholic primary school. 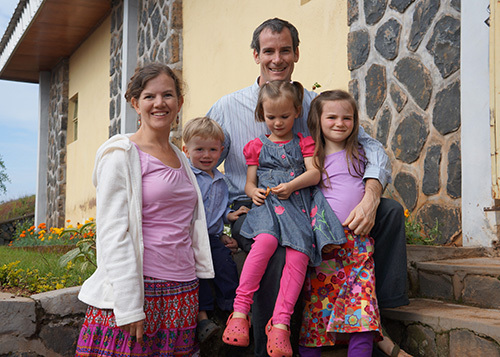 Jeff & Courtney Caiola and their children Ellis, Marie & Gabriella served at Karoli Lwanga Hospital in Nyakibale, Diocese of Kabale. 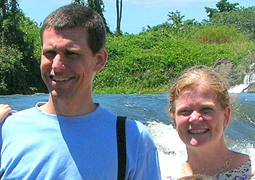 Jeff served as the hospital administrator and Courtney, a registered nurse, taught at the hospital nursing school. Their children attended the local primary school. 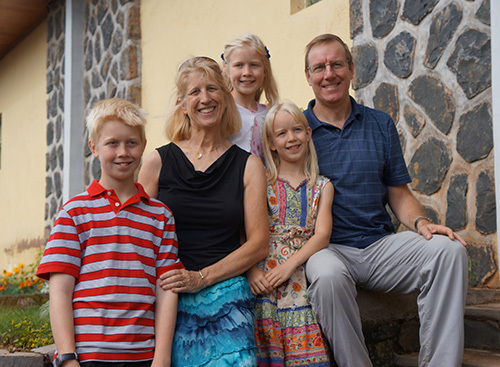 Joshua and Rachel Knight, and their children Mary and Grace, served in the Diocese of Kumbo, Cameroon. 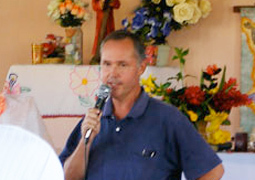 Joshua, an environmental engineer, worked on diocesan sponsored clean water projects in several villages in the diocese. Due to lack of clean water, many people became sick or died from water born diseases. These water projects provided the only clean and safe water to these communities. Rachel, a teacher, served as an English teacher at St. Augustine Secondary School. In addition, she and the children volunteered at an orphanage at Shisong Hospital. 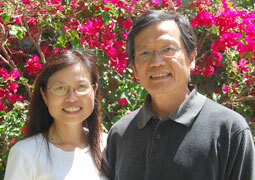 Jovanni and Grace are from Hacienda Heights, California and are members of St. John Vianney Church. Jovanni attended Pasadena City College and Pasadena Institute of Technology. Grace attended university in Taiwan. They have two grown sons. 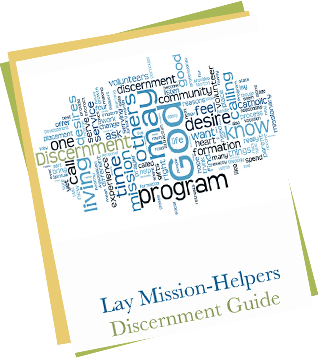 Jovanni and Grace are serving as Pastoral Associates, assisting the Sisters of Our Lady of China in their ministries to the students at Chung Jen Junior College. They serve in the Life Education Center at the school. The vast majority of the students are not Christian, and as a Catholic institution, the Life Education Center promotes healthy living, service and values. 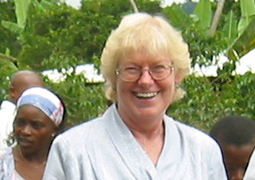 Joyce served as the bursar of St. Sylvester Secondary School in the town of Sop, Diocese of Kumbo, Cameroon. She was responsible for collecting school fees, payroll, and the overall accounting of the school. She implemented a computer program to facilitate the accounting system (everything had been done by hand), and trained someone to take her place. Joyce has returned to Cameroon for short term assignments–implementing an accounting system and training staff at Shisong Hospital. 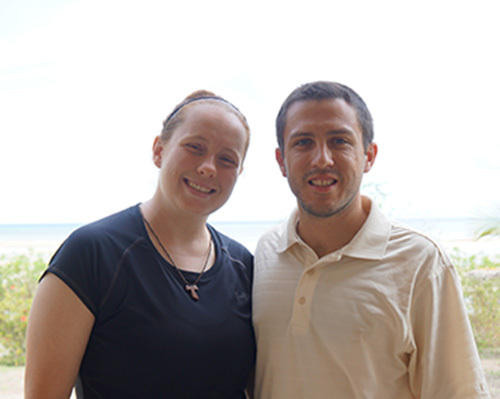 Justin & Lauren Linck were newly married when they joined LMH and were assigned to the Diocese of Mtwara in Tanzania. They served at Aquinas Secondary School, the only Catholic secondary school in the diocese. Justin taught math and initially Lauren taught religious studies but soon became the full-time librarian for the school. Rachel served as a maths and physics teacher at St. Sylvester Secondary School in Sop, Diocese of Kumbo, Cameroon. 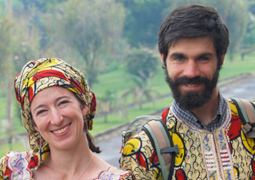 Maura and Ryan Martin and their children served the people of Cameroon, Africa by providing basic nursing care and instruction and social services. 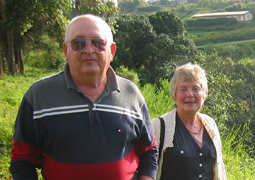 Warren and Deanna Bowers, retired engineer and nurse, served at St. Rita Vocational School in Nkambe, Diocese of Kumbo, Cameroon. Warren taught woodworking and project management. Deanna served as the school nurse and taught health education.